How do you avoid being feasted on by blood-sucking insects? Repellent, of course. While we might be the only species that produces pest repellent neatly packaged in spray bottles, we are far from original in our way of dealing with the problem. Organisms evolve all kinds of defence mechanisms against other organisms wanting to eat them, and this spans all across the annals of biology. But sometimes one organism’s weapon is another organism’s delight – several substances we humans like to ingest have been developed by plants over millennia to deal with the pressures of being preyed upon. One typical example of this is mustard oil. A paper published today in PNAS uncovers the genetics involved in a long-going arms race between cabbage butterflies and the ancestors of Brassica, the plant genus that gives us all of cabbage, as well as mustard, radishes and other vegetables. Some 90 million years ago the ancestors of mustard evolved an ability to produce compounds called glucosinolates – chemicals that are highly toxic to most insects. An international team of researchers, led by scientists from the University of Missouri, have now gleaned the dynamics of co-evolution between these defensive Brassicales and one of their most common pests, the caterpillars of butterflies in the Pierinae family. These insects evolved an ability that let them bypass the glucosinolate defense, and over millions of years the genetic tug of war made both species what they are today. 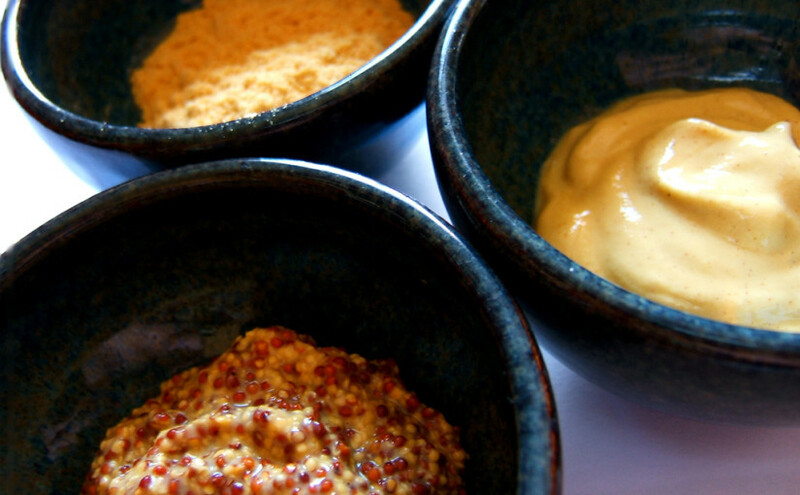 As you may have already guessed, we humans experience glucosinolates as the sharp, bitey taste associated with things like horseradish and mustard – and quite literally we have caterpillars to thank for these condiments. But this is not the only co-evolution story involving a pest deterrent that we find useful or pleasant. Coffee plants (Coffea canephora) once mutated a gene that allows them to build caffeine from enzymes called N-methyltransferases. While a lot of us these days use coffee to get through the day, the coffee plants themselves appear to use the compound to ward off insects, as well as contaminate the ground around them so other plants have a harder time growing there. And chilli plants, such as Capsicum annuum, produce capsaicin in their fruit – a substance that creates a sensation of pain and heat when it activates the relevant neurons in your tongue and on the skin. Surprisingly, in this story the pests warded off by chilli’s chemical defence are mammals. Furthermore, the fruit of hot peppers is often bright red, which invites birds to eat them – and birds don’t have receptors that respond to capsaicin. What they do have is the ability to spread the seeds in good sprouting locations without digesting them, while a rodent who bravely munches on a chilli would end up making the seeds useless. These are just a few examples of a co-evolutionary process that has led to chemicals we find useful in one way or another. I think the various forms of plant-pest arms racing over millions of years are a fascinating topic in their own right, but even more so when humans turn it around and start cultivating plants for the properties other organisms would find a complete turn-off.